In the morning, it was steamy and hot, very unexpected, at least by me, unlike both tourists and locals. Almost everyone else had on shorts and many were heading to the beach. We wanted to wander the town and I wanted to find out if there would be anything interesting in a beach town to photograph. It turned out there was plenty. 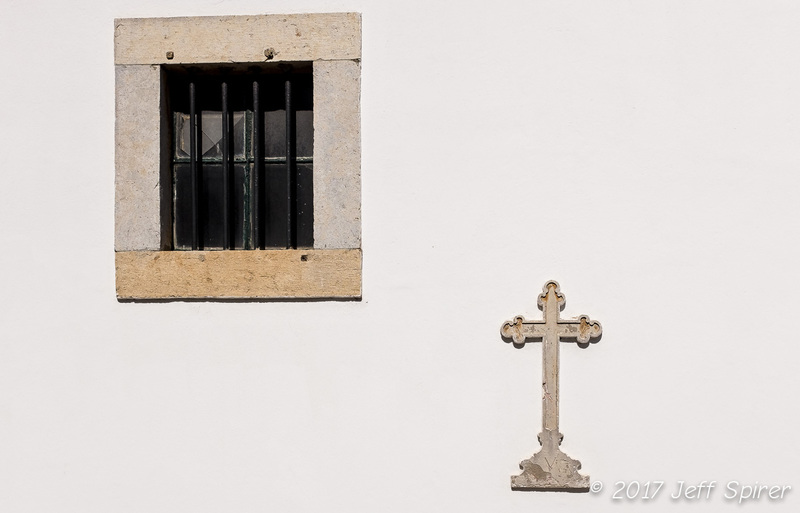 Faro has an historic old town that is well-preserved if somewhat over-touristed. The locals appeared to live, or at least congregate, away from the beach and the old town. There were plenty of streets to wander in the old town. I even found something that brought up questions about what happened the night before. A local tattoo parlor had terrific art on the wall outside with plenty of graffiti on an adjacent wall. 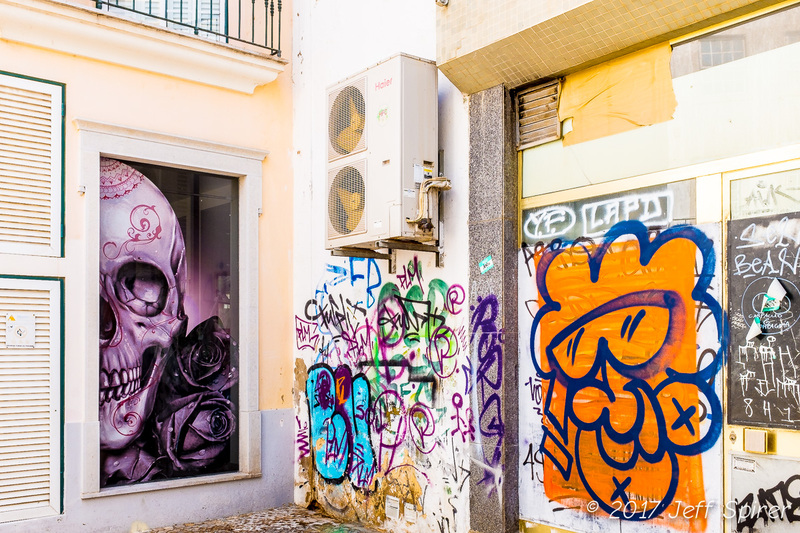 Although Portugal has plenty of graffiti, the taggers don’t usually touch art or existing signs, just create new work on empty walls. While much of Portugal (and Spain) identifies as Catholic, there doesn’t seem to be much church attendance on Sundays. However, perhaps as a legacy of days past, there are plenty of signs of the religion everywhere, churches, crosses, even occasional saints.